Provo • There are probably better ways to get ready for the West Coast Conference race and restore confidence to a basketball team plagued by inconsistency and defensive letdowns than to travel more than halfway across the country and play one of the best teams in the nation on its home floor. But that’s what the 8-6 BYU Cougars are doing in their final non-conference game of the year. Having lost two straight games and five of its last eight, BYU will test No. 19 Mississippi State (11-1) at 10 a.m. Saturday at Humphrey Coliseum in Starkville, Miss. The third matchup ever between the Cougars and Bulldogs and first since 1995 will be televised by ESPNU. • First, BYU wanted to get a game within driving distance of starting point guard Jahshire Hardnett’s hometown of Gulfport, Miss. The town of 71,000 at the south end of the state is a four-hour drive from Starkville. Hardnett is averaging 11.4 points and 1.9 assists per game in his second season in Provo. 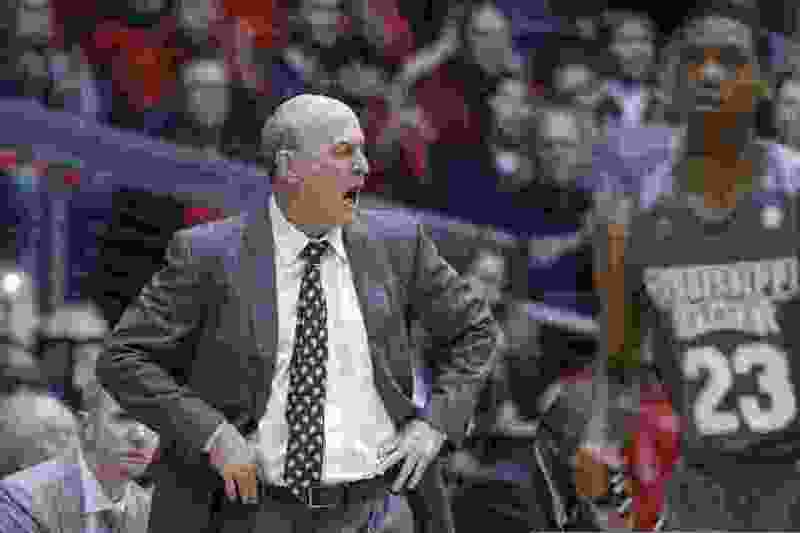 • Second, BYU was looking for a top-25 opponent that would boost the Cougars’ NCAA tournament credentials, and a little research showed that MSU would be formidable after the Bulldogs made it to the NIT semifinals last spring. They’ve been just that, having won eight straight, including victories over Saint Mary’s (61-57), Dayton (65-58), Clemson (82-71) and Cincinnati (70-59). • Third, Rose and fourth-year MSU coach Ben Howland, 61, the former Northern Arizona, Pittsburgh and UCLA head coach who played for Weber State have been friends for decades. Howland’s Bruins ended BYU’s perfect season and 10-game winning streak 86-79 on Dec. 19, 2010 in Jimmer Fredette’s final season. Now BYU is hoping for some late-December magic. At Humphrey Coliseum, Starkville, Miss. About the Bulldogs • Coach Ben Howland is 66-46 in his fourth season in Starkville. ... Their only loss was a 72-67 setback to Arizona State at T-Mobile Arena in Las Vegas on Nov. 19. … They have won eight straight games, but struggled with Wright State on Dec. 22 before pulling out a 67-63 win in Jackson, Miss. … They are averaging 78.3 points per game and allowing just 65.5 points. … Quinndary Weatherspoon leads them in scoring with a 16.4 average and Aric Holman leads them in rebounding with an 8.7 average. About the Cougars • This is their final non-conference game before West Coast Conference play begins Thursday at Pacific. … Junior G TJ Haws is averaging 21.0 points and 5.4 assists over the last five games, while shooting 59.3 percent from the field and 50 percent from 3-point range. … Senior F Luke Worthington scored a season-high 11 points and grabbed five rebounds in last Saturday’s 90-81 loss at San Diego State. … Junior F Yoeli Childs is second in the WCC in scoring with a 22.1 average and first in rebounding with a 10.6 average.